Quick one. 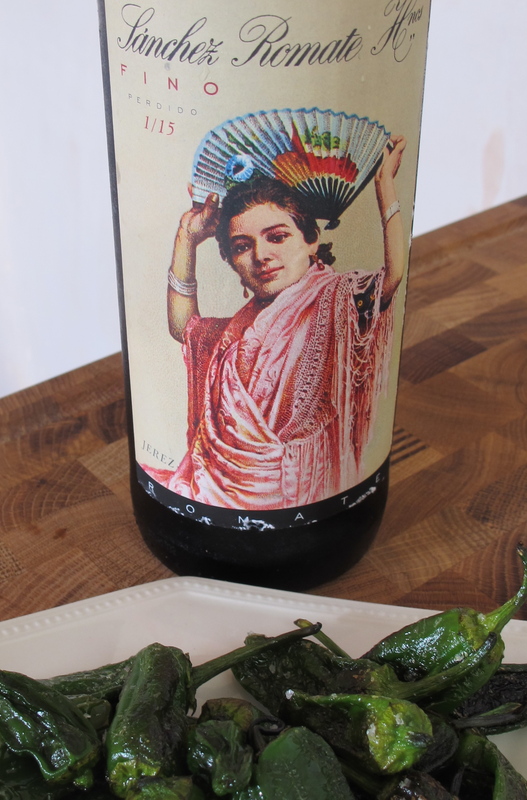 After my post about tasting en rama sherry with mum a chap called John McLusky popped up to recommend another sherry – Romate Fino Perdido (The Wine Society, £7.50). Sherry o’clock comes round pretty regularly for me and with a tip-off of this calibre – Mr McL is a former buyer for The Wine Society – what further excuse reason did I need to get a bottle open? Good call. It’s a very fine fino; rich and reminiscent of toasted brown sourdough with a wakey, wakey firecracker sensation in your mouth. The label is also very attractive so that you want to leave it lying around the kitchen. Empty, probably. I’d eat it with hot brown and white crab pots for choice. 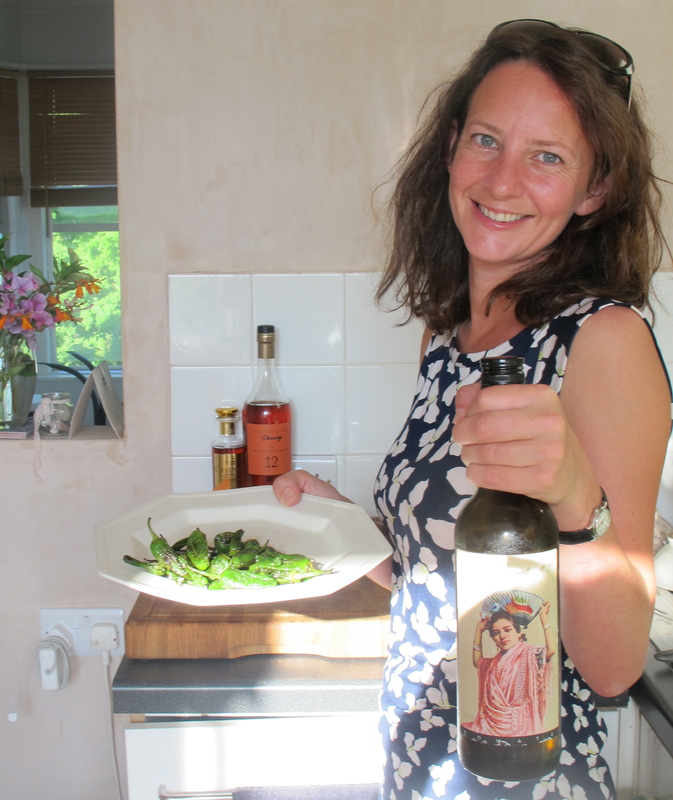 Here it is, in someone else’s kitchen, with padron peppers.